20 Jan 2018, Auburn, WA – The 2017 Pacific Raceways Banquet crowned the 2017 Summit ET Swift Tools ET Series Champions at Emerald Downs in Auburn. Congrats to all the newly crowned champions, and special thanks to all the sponsors for their support. The 2018 Season is not far away!! 04 Sept 2017 Woodburn, OR – As the rotation goes for the tracks that host the E.T. Finals Woodburn Dragstrip has that deed in 2017. From fourteen tracks in the NW Division came their teams – formed from the champions and top placers from their E.T. series for the season. With 543 entries for the team championship and a couple of people with them there had to be near a couple thousand packing the grounds at Woodburn. That many people in one spot can create a ton of “heat” but was nothing to what “mother nature” put everyone into. Temps hovered around the triple digit mark but the high 90’s had all seeking shade and liquids and bags of ice being grabbed up as soon as they arrived. Keeping the liquids chilled weather in your drink or the cooler but many more being used to cool machines and many forms of the swamp cooler trying to chill your camp could be seen along with one Super Pro dragster driver with a cooling unit hanging off the cage. No telling what the weather will be like next year in Boise – Firebird has hosted some pretty hot weather events themselves, but I’m pretty sure that they do not want any record temps. This year’s finals could be a prep for that event as the degrees are logged into the racer’s books for future use. The NW Division champions now set their goals on Pomona and racing on the “big” stage. 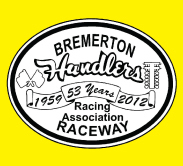 “GOOD LUCK” to all and to Pacific Raceways and their smashing the round wins record with 102 “WIN’S” here this weekend. Congratulations and great job of choosing the “TEAM”. 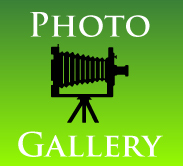 Images From all FOUR days are organized in FOUR albums, by day – Click here to go to the event folder, where you can then visit all FOUR event albums.